The Richmond Main Colliery site is of State significance as a showpiece 20th century coal mine located within the South Maitland Coalfields. At its peak, the Richmond Main Colliery was one of the best-equipped and most productive collieries in the Cessnock Coalfields. The equipment and operation of this colliery was both a benchmark and an exemplar for the history and technology of underground coal mining in Australia. The railway is further distinguished by being one of the last and longest operating steam powered railway systems in Australia. It is considered to be one of few historic coal mining sites in Australia that remains substantially intact . The site has important associations with the enterprising John Brown, manager of J & A Brown, who developed the mine in his own fashion. The site’s history and fabric show Brown’s vision developed. 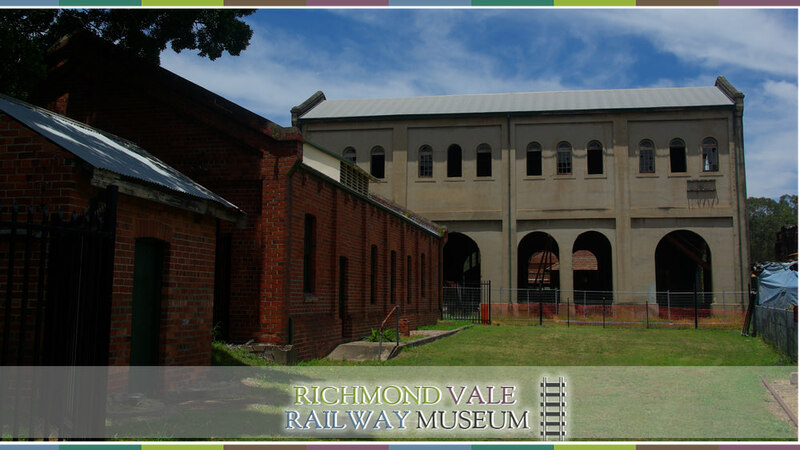 Of particular note is the Richmond Vale Railway, developed by Brown as a private railway servicing his various collieries in the local area. The site also has significant connections to the community, having been a large employer for the area and due to its continued association with the members of the Richmond Vale Preservation Co-Operative Society, who have been instrumental in the ongoing preservation of the site since the 1970s. Visually, the scale, massing and substantial completeness of the site emphasises its size and purpose. The site’s aesthetic significance is largely related to the scale of the buildings, the relative unity of materials and the subtle use of continuing architectural themes through various building types. The intention of John Brown to make Richmond Main his flagship showpiece of the industry can be seen to give the complex a degree of representation for other collieries, even in its partially ruined state. As you move around the site, you can appreciate John Brown’s vision. The mining museum is housed in the grand administrative office from which the colliery was managed, and which also housed a board room and apartment for the proprietor’s use. The massive power station and pithead structures are testament to John Brown’s commitment to a modern enterprise. Deep in a hollow between the entry building and the platform you will find an intact powder magazine explosives bunker. Many of the buildings are constructed in Richmond Vale redbricks, which were manufactured in the company’s own brickworks, located between Leggetts Drive and Wallis Creek. Locomotives and other rollingstock on display outline the historical development of coal and industrial railways in the Hunter Valley. Adjacent to our ROD locomotive you will find a display train which is comprised of typical wagons from various eras of coal haulage complete with a standard brakevan which manually braked the train. Opposite the platform is a display of modern rollingstock used in the former BHP steelworks in Newcastle. The site houses a collection of mining machinery donated by the industry to demonstrate the historical development of mechanisation in the region’s coal mines. A display of lower quadrant signals and a shunting signal has been erected to allow young people to operate them and see how the mechanism worked.